As a natural lifestyle blogger, one of the topics that I am most passionate about is teaching others how to safely use essential oils with their children. I even wrote a popular book about it, The Complete Book of Essential Oils for Mama and Baby. While many of my favorite essential oils are reminiscent of the holiday season (e.g. peppermint, clove, and cinnamon), they should be used with caution around young children. Sweet orange essential oil is generally considered child-safe and makes for the perfect option when scenting homemade gifts for the kiddos (remember, though, that you should avoid using undiluted essential oils on the skin, so make sure that your recipe contains an appropriate proportion of carrier oil/butter/wax, like those below). No one can turn down the happy, calming, and sweet scent of oranges! This time of year, I’m always looking for fun new things to make as gifts for others. My friends and family tell me they eagerly await opening up something organic and handmade by me. I must admit, I also find myself eagerly awaiting the day that I can hand out my handmade gifts! 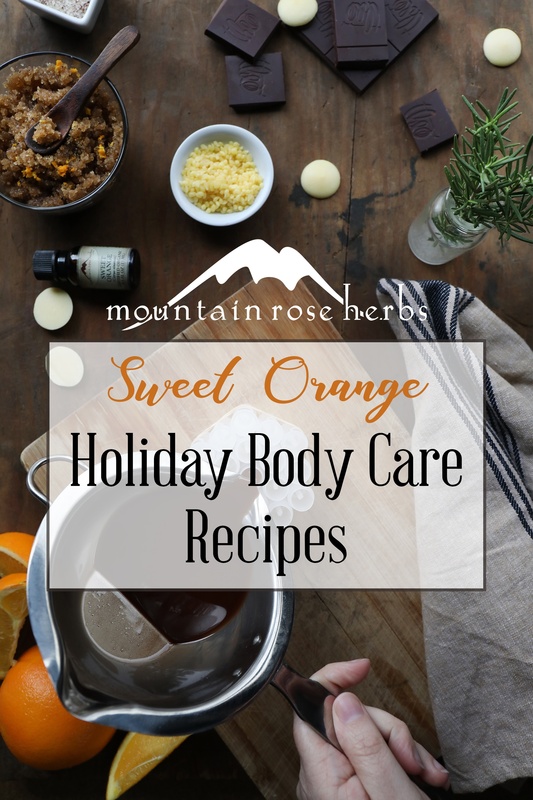 Here are some of my favorite organic body care recipes using comforting holiday aromas such as orange, cloves, and cocoa butter (and they’re all kid-friendly!). Makes about 15 tubes of balm. 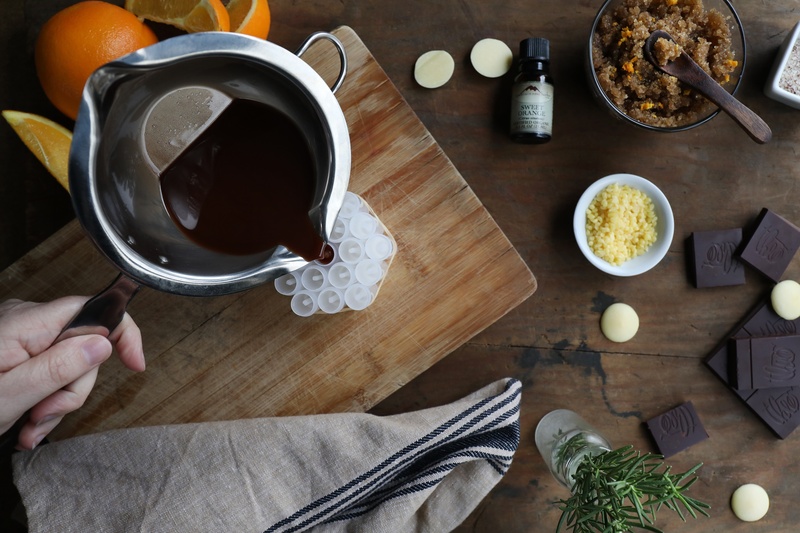 In a double boiler, gently melt the coconut oil, cocoa butter, and beeswax. Mix in cacao powder, then remove from heat. Once cooled, stir in the essential oil. 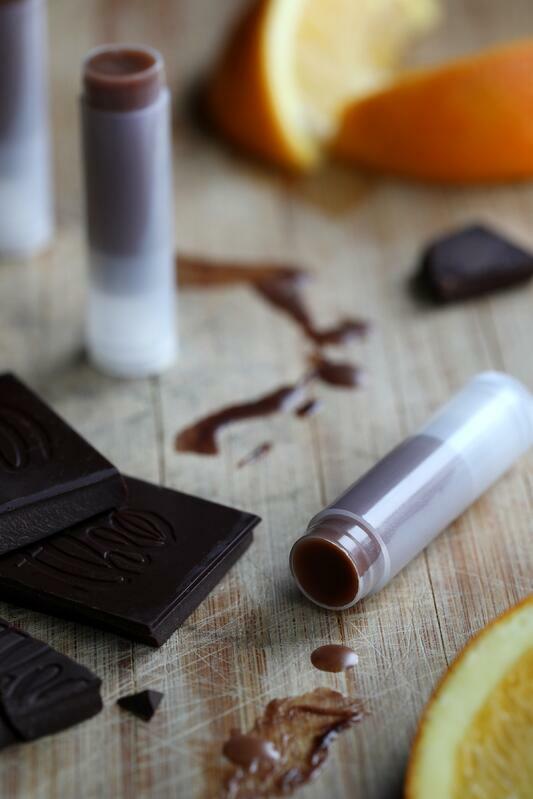 Pour into lip balm tubes or tins. Allow to cool fully before putting caps or lids onto the containers. Makes enough scrub to fill one 7 or 8 oz. glass jar. In a medium bowl combine sugar, orange zest, and clove powder. Set aside. Over low heat, gently melt the coconut oil. Remove from heat and stir in the Castille soap and essential oil. Pour coconut oil mixture over the sugar mixture and stir until completely combined. Store in a glass jar or recycled container in a cool dark location. 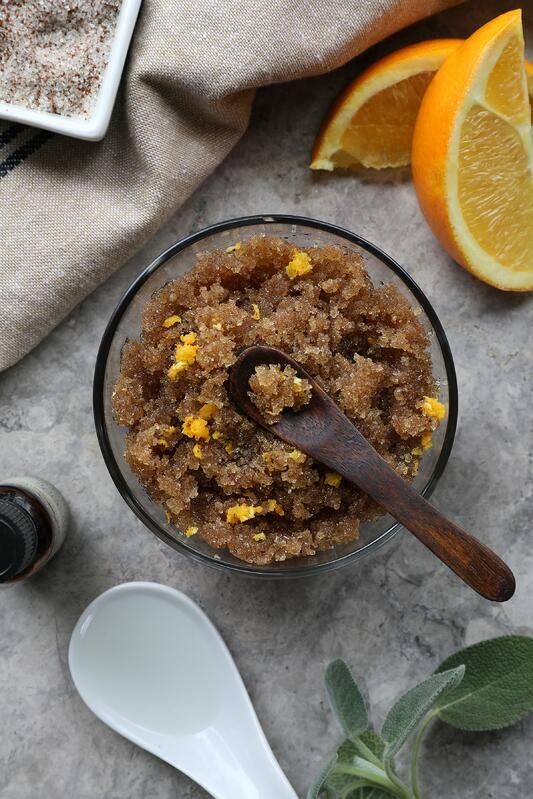 Using clean, dry hands or a clean spoon, scoop out enough sugar scrub to massage the intended area, then gently exfoliate. Rinse with warm water and repeat everywhere that needs exfoliation. Avoid getting water in the jar to prevent mold and bacteria from growing in the product. If using in a bathtub, remember oil-based scrubs can make the tub slippery! Looking for More Fun DIY Stocking Stuffers? Christina Anthis is the hippy behind the blog thehippyhomemaker.com. After years of surgeries, pain, poor health, and narcolepsy, Christina realized that her poor diet and the toxic chemicals in her life were making her family sick. Fed up, she decided to take her family’s health into her own hands and began regularly training in and using aromatherapy and herbalism. 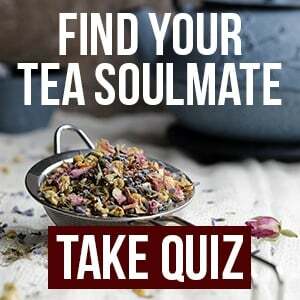 As she learned how to change her own life, she began sharing her journey on her blog, helping others to live healthier, hippier lives themselves. Christina writes about green and eco-friendly living, aromatherapy, herbalism, holistic health, and natural beauty.